By 2014, my job as a school teacher had me beat. 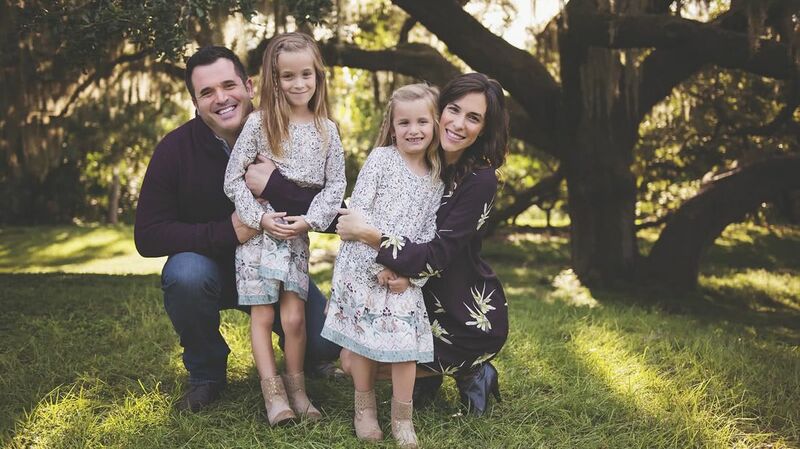 I'd leave for school before my 2- and 3-year-old daughters woke up and get home just in time to relieve my husband (he worked nights), give the kids a bath and tuck them in before collapsing into bed and repeating the whole cycle again the following day. So I became a full-time freelance writer. It was the best move I ever made for my family, both financially and emotionally, but that's not to say it was easy. In my dreams, I worked happily away on my laptop while my children played quietly and napped on demand. By my second day on the job, things got real. The lines pretty much blurred into oblivion as I simultaneously juggled deadlines and crying kids; conference calls and potty training. We all survived, but it's been a wild ride. 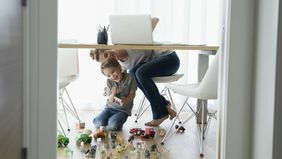 Here's what I wish I'd known when I first became a work-from-home parent that would have made the transition much smoother. With more employers offering flex hours, working from home is the norm for many. One 2017 Gallup report found that 43 percent of working Americans put in remote hours at some point during the previous year, and that number is rising. For parents, working from home can seem like a great opportunity to eliminate the child care bill, but I'd warn against it. Shortly after I started working from home, my husband also began a new job with more traditional hours, which meant I was home alone with the kids during the day. With my girls needing so much of my attention, I fell behind with work and missed deadlines. By my second day on the job, things got real. We ultimately signed up for two days of preschool a week and enrolled our girls in summer camp, which was a major expense. Preschool runs about $600 a month in Los Angeles, and summer camp costs easily $1,000 a year. Child care is now a line item in our budget, and it's a smart investment. 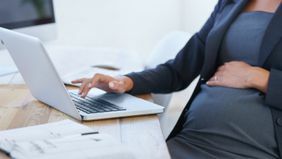 Focused work time means bigger paychecks — and I feel like a more emotionally available parent when the workday is over. Working in an office comes with predictability. You rise early, get ready for work, commute, settle in and so on. These routines unravel at home. There are constant distractions that go beyond children: dishes that need washing, laundry that needs folding. If you aren't careful, whole days can get eaten up by domestic duties. What's helped me the most is a simple quote from the writer Jane Kenyon: "Work regular hours." It seems to defeat the purpose of working from home — shouldn't it allow you to be flexible? But, as a procrastinator, this is vital to my productivity. Instead of working on the couch in my pajamas, I get dressed and find a workspace, whether it's my home office or a local coffee shop. In other words, I treat it like work. I also schedule regular breaks to either walk outside or meditate, which have both been linked to improved thinking skills and help keep me from getting stuck in a work rut. When my children are bouncing around me as I type away on my laptop, I feel pulled in two directions — a tug-of-war between doing my job and being a mom. This fragmentation can make you feel like you're failing at both. Our culture likes to celebrate multitasking as a badge of honor, but research shows that the human brain actually isn't wired to work this way. Splitting our attention doesn't come naturally, it turns out. Focusing on the task at hand, which really comes down to establishing clear boundaries, helps manage my stress. When I'm working, I stay off social media and ignore texts about Girl Scout meetings and play dates. And when I'm helping my children with their homework, I don't open my work email when my phone alerts me to a new message. Each deserves my full attention, not a diluted version of myself. 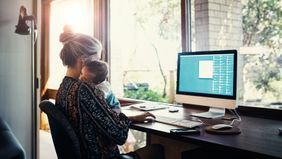 Within the next 10 years, freelancers will likely represent the majority of the U.S. workforce, meaning more parents will work from home. These three lessons have made a world of difference for my productivity.